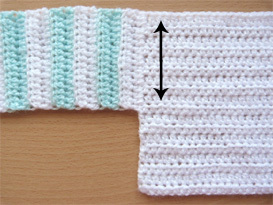 Row 2 - ch1, 1hdc in base of ch1, 1hdc in each hdc to end. Turn. Row 3 to 18 - Rpt Row 2. DNT. You should have worked 18 rows in all. Fa sten off leaving a length of yarn. 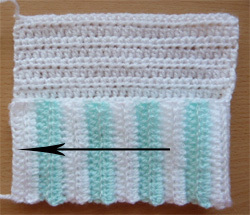 Finishing - Weave in any ends of loose yarn and trim, turn through to RS, turn down cuff, attach small button to front of boots. 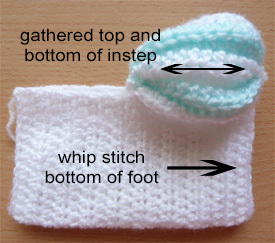 Hope you enjoy this free crochet pattern for striped booties.